We take great pride in providing the finest chiropractic wellness care to our patients. Below is a sampling of the different chiropractic services we offer in our Stamford office. We provide advanced spinal correction utilizing "state of the art" chiropractic techniques. Never in the history of chiropractic have we been able to provide the level of help and expertise that now exists. These newer correction methods are even safer, more comfortable and more effective than ever before. As a Doctor of Chiropractic, Jason Queiros has years of training and experience in spinal adjustment. 1. Your body has a natural ability to heal itself. 2. Your body's structure (nerves, bones, joints and muscles) and capacity for healthy function are closely intertwined. 3. Chiropractic treatment helps balance your body's structure and function and promotes self-healing. 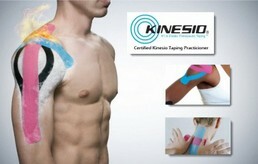 Kinesio Taping is a noninvasive therapeutic modality that promotes muscle and joint alignment, reduces pain and edema, and can help to facilitate or inhibit muscle activation. The key is in the application and is extremely popular among athletes of all levels and ages. 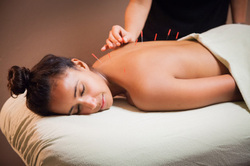 Cox Technique is used for low back pain, neck pain, numbness and tingling or pain down the arms and legs. 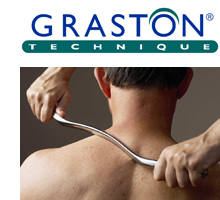 Flexion Distraction is the gentle, safe, controlled treatment for spinal pain relief. Flexion distraction drops intradiscal pressures and widens the spinal canal area by as much as 28%. As a bonus, flexion distraction returns motion to the spinal joints, without audible cavitation ("cracking" or "popping" sounds). Activator Method is one of the most widely researched chiropractic techniques and the only instrument adjusting technique with clinical trials to support its efficacy. This method can be especially beneficial for arthritic joints and older patients who would like to avoid to manual adjusting or audible cavitation. Low Level Laser (Cold Laser) Therapy can help reduce pain, inflammation, & quickly strengthen healed tissues. This improves collagen and muscle tissue development, and helps generate new healthy cells & tissue to prevent re-injury. Electrical Muscle Stimulation/TENS use electric currents to stimulate the body tissues to reduce inflammation, stop pain and bring healing blood flow to sore or injured muscles and soft tissue. Hydrotherapy Table (Whirlpool) is a heated water bed with jets which massage muscles and induces muscle relaxation, circulation to relieve pain and muscle spasm. Intersegmental Traction (Roller) Table is similar to a foam roller which helps to gap segments of vertebrae through passive mobilization of the spine. Its gentle pressure relaxes muscles along the back. Ultrasound Therapy uses soundwaves to generate vibration, causing a localized heating for the tissues, which can encourage healing blood flow, relax tissues, remove waste and inflammation and encourage healing. Nutritional Counseling We provide specific recommendations on nutritional supplements and healthy food choices to enhance our patient's return to optimal health. Do you know which supplements and vitamins are good for you? Do you know how to incorporate these vitamins and minerals into your diet? Dr. Jason Queiros can provide a structured nutritional program based on your individual needs. Cupping uses plastic cups a vacuum is formed under the skin to increase blood flow, decrease lactic acid build up and decrease pain. 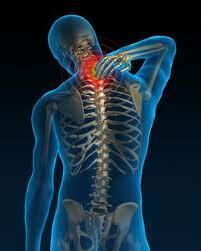 This is used as a recovery method from working out or with more severe pain from disc herniations. Compression Floss or Blood Flow Restriction Therapy speeds up recovery from work outs or injuries, increases mobility and reduces swelling by using compression, tension & movement. Active Release and PNF Stretching- Soft tissue treatment used to break up scar tissue and tight muscle and muscle knots, improve range of motion and flexibility, decrease pain and decrease recovery time in athletes. Can also lengthen and loosen tight and overused muscles. Normatec Leg Compression System quickly reduces swelling and soreness, and improve circulation. It works by helping the body’s natural circulatory system flush out lactic acid and excess fluid. TheraGun Vibration Massage reduces muscle and joint pain, releases muscle knots & muscle spasms & breaks up scar tissue. It improves mobility and range of motion, & reduced lactic acid build up in sore muscles.